A daily walk is a great way for your dad to get exercise. In the winter, it can also be dangerous. Make sure your dad is aware of the risks. Discuss ways for him to stay safe while taking a walk during the winter. Here are five things to talk about. 1. Ice and Packed Snow. Even with good tread, it can be easy to slip on packed snow and ice. Some ice isn’t as easy to see. Black ice looks shiny and wet, but it’s a thin coating of ice that can be treacherous. Falling can lead to broken bones or head injuries. Have him use strap-on ice/snow cleats that provide more grip. Visibility in a snow squall can be minimal. If he walks on the edge of the road, he must be visible. Bright, reflective clothing is essential. He should also wear an LED headlamp, flashing bicyclist lights, or flashlight with a strobe setting to make him more visible to anyone driving by. Days are shorter. If your dad likes to walk after dinner, he may find that it gets dark quickly. It’s also darker in the morning. The shorter days can limit the amount of time he has to get outside and take a walk. If he cannot adjust when he goes for a walk, make sure he is visible to traffic in the waning daylight. 4. Wind Chills and Frost Bite. In the winter, it can be one temperature, but the wind can make it feel colder than it is. Cheeks, chins, toes, ears, and fingers are areas where frostbite is most common. Your dad needs to be able to dress in layers and keep as much skin covered as he can. Keeping skin covered isn’t enough. He needs to limit his time outside when it’s cold. If your dad’s core temperature drops too low, it’s hypothermia. If he’s dressed in layers and has protected himself with gloves, a hat, a scarf, and thick, waterproof winter boots, he’ll likely be okay. He does need to watch how much time he spends outside. If he gets cold enough that he starts shivering, he should go back inside and warm up. It Can Be Safer to Walk With Someone. It may be best if your dad walks with someone else. 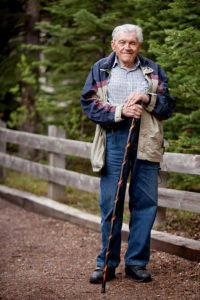 Caregivers can help him inside the home with laundry and housework and join him outside for walks. He has someone to hold for support. He also gains companionship during his walks. 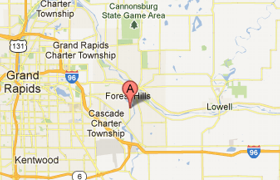 If you or someone you know needs help with caregiver services in Lowell, MI, contact Gauthier Family Home Care. We provide quality and affordable home care services in our community. Call us at (616) 258-2300 for more information.